White washing is a quick and easy way to change the look of wood or natural-fibre. It works especially well when the item is textured. 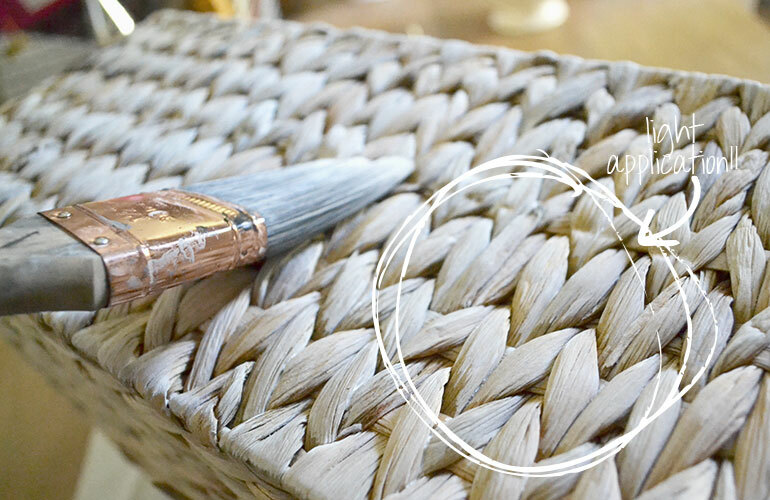 In this tutorial a braided water hyacinth basket is transformed! While this classic basket is indeed beautiful in its natural state, we were looking for something a little more feminine to go with our decor. 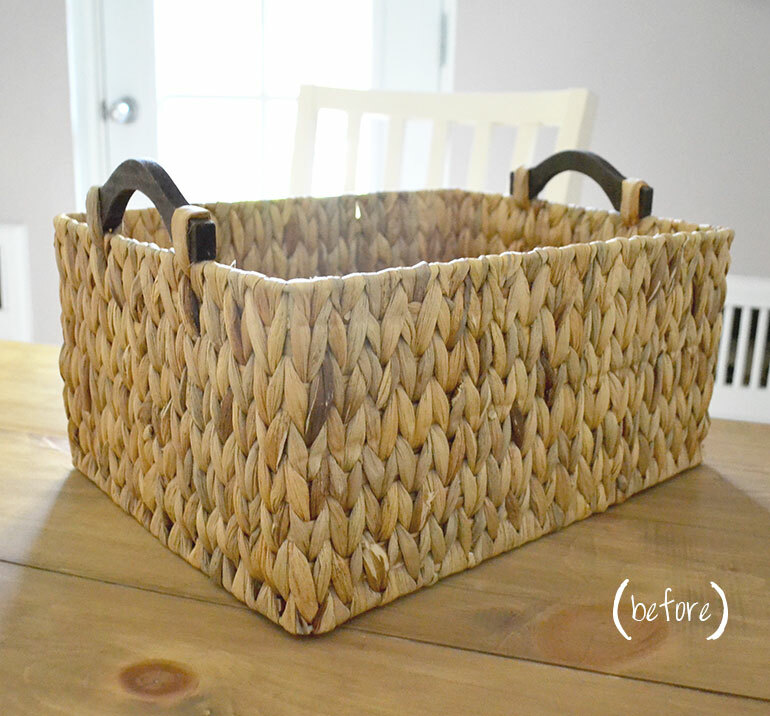 The shape and size were perfect for the space and the price was right, so rather than continuing the hunt for the perfect basket we decided to give this one a quick makeover. Voila! 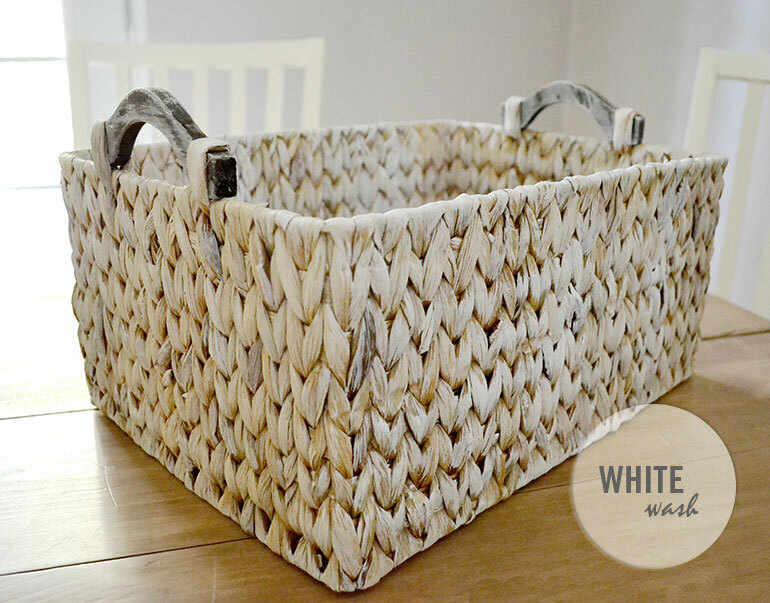 Ten minutes and a little bit of white paint later, we have the perfect white wash basket. It is also always suggested that you cover your work surface to avoid getting paint on it. 1. 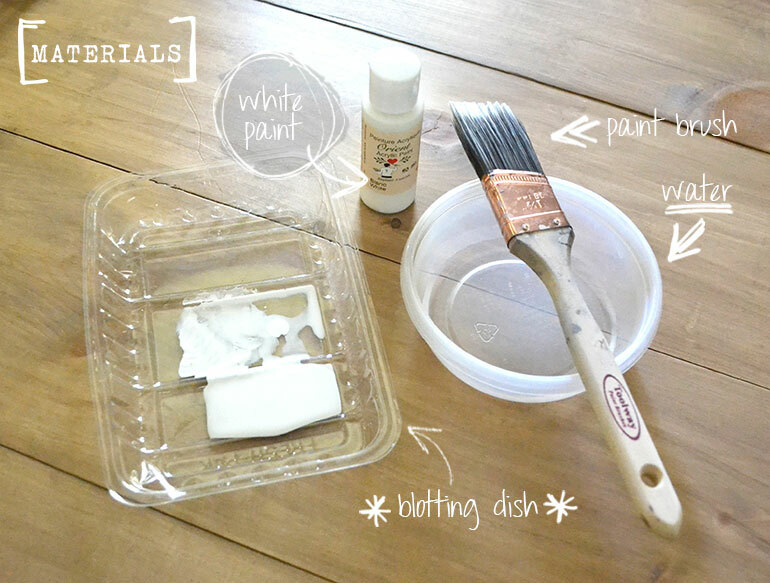 Pour a little bit of paint onto one side your blotting dish, leaving room for blotting. 2. Dip your brush into the water. 3. Take some paint onto your wet brush and dab it on the empty side of the blotting dish so that your brush is neither saturated with paint, nor dripping with water. 4. Starting on one side of the basket (we started with the top left) lightly brush the diluted paint in an up-down motion keeping with the direction of the basket weave. I.E: if the braids were running horizontally, you would be brushing left to right. 5. Continue this working your way around the basket. If you choose to, repeat until all sides, inside, bottom and handles are painted. In this example we didn’t paint the bottom. Light application: The goal is not want to paint the basket white, it is to WASH the white over it, lightly, so you can still see the natural color in some spots. Imperfection: Don’t drive yourself crazy trying to make the wash “even”. The look of white wash is beautifully imperfect! You can also try washing furniture and accessories with other colors for a fun, salvaged look.